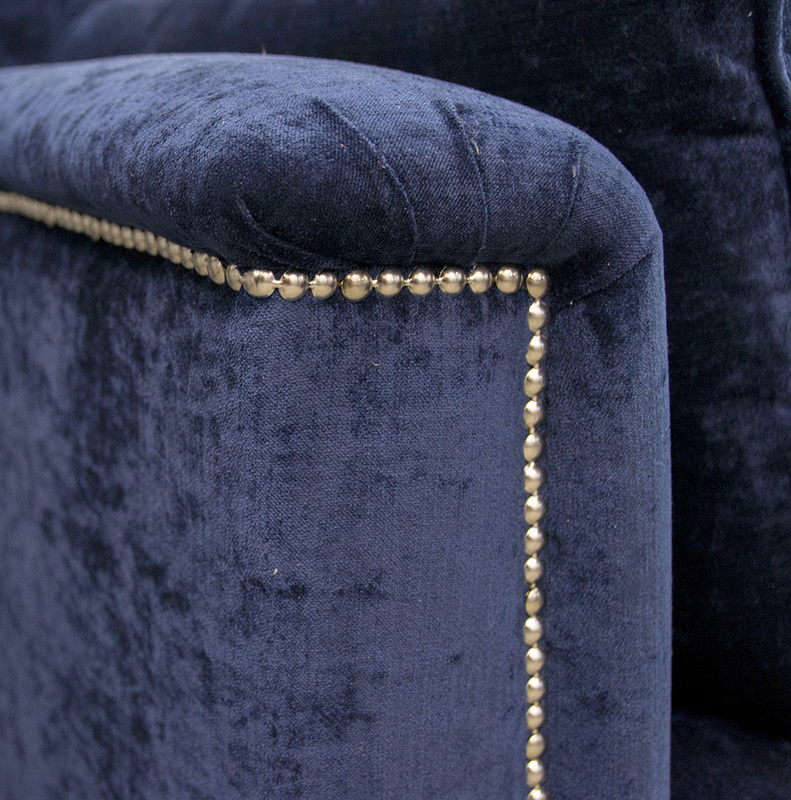 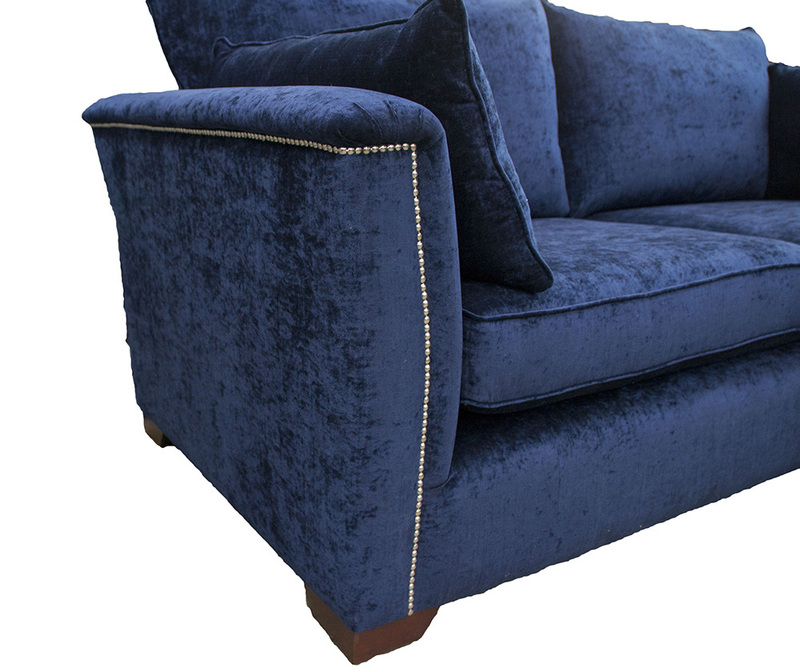 of the Madison, & the base of the sofa is finished with a skirt (or without a skirt, known as The Monroe, if that’s your preference). 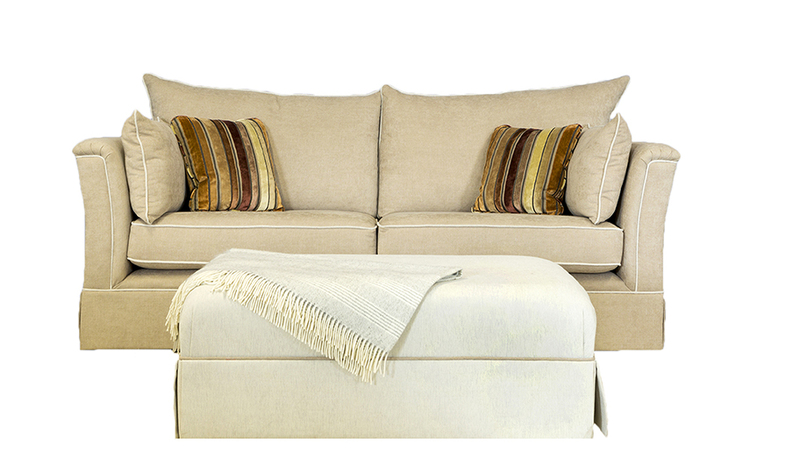 Put all these element together & what is presented is a cool, elegant & sophisticated collection. 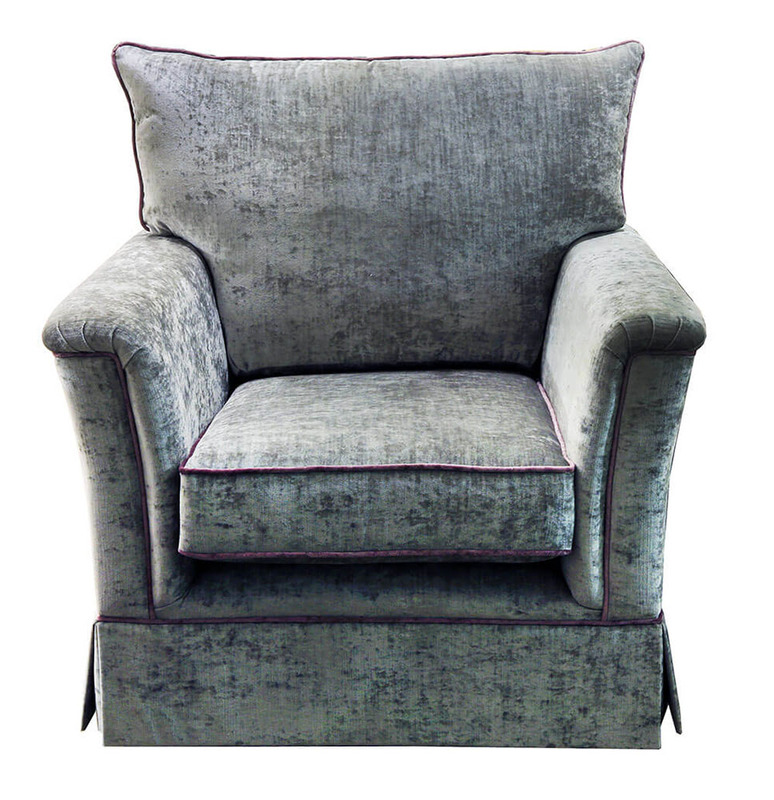 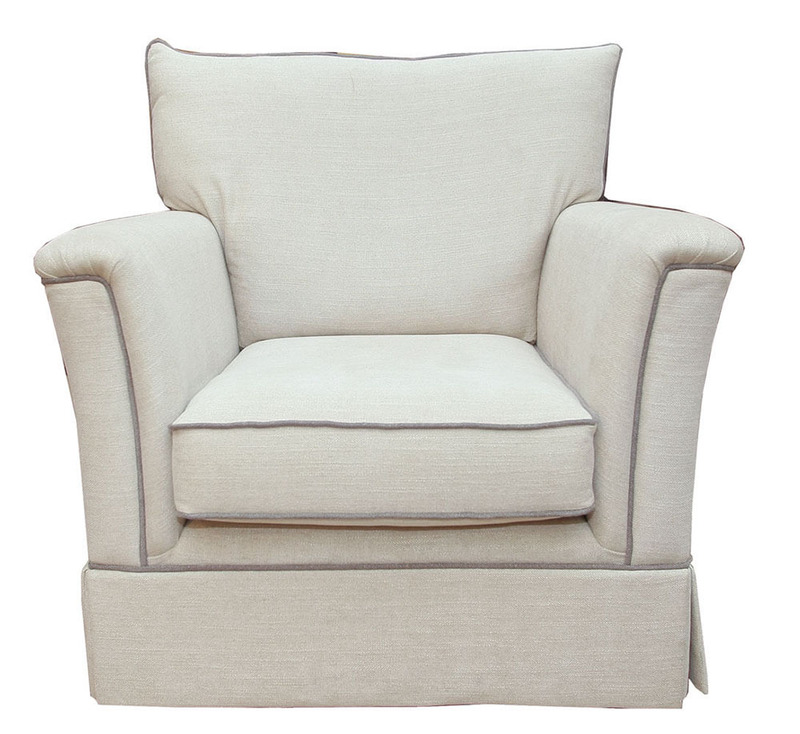 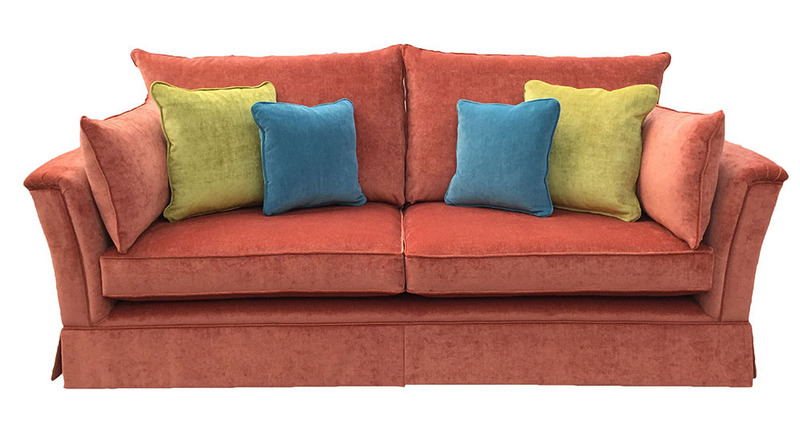 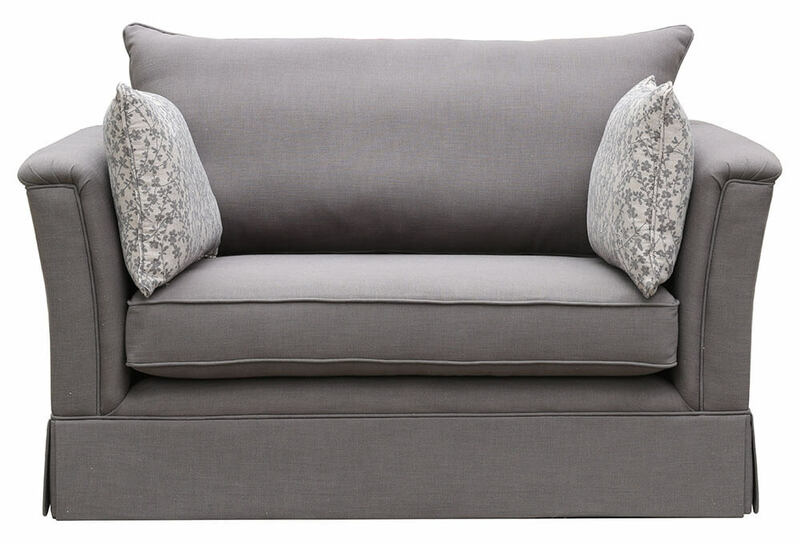 Like all Finline models, you can choose to have the Madison made up in the fabric of your choice & currently the most popular look for the Madison in plain & textured plain fabrics, & using a contrast piping (this gives a really crisp look to the finished piece), & of course you can use a self-piped finish if you wish. 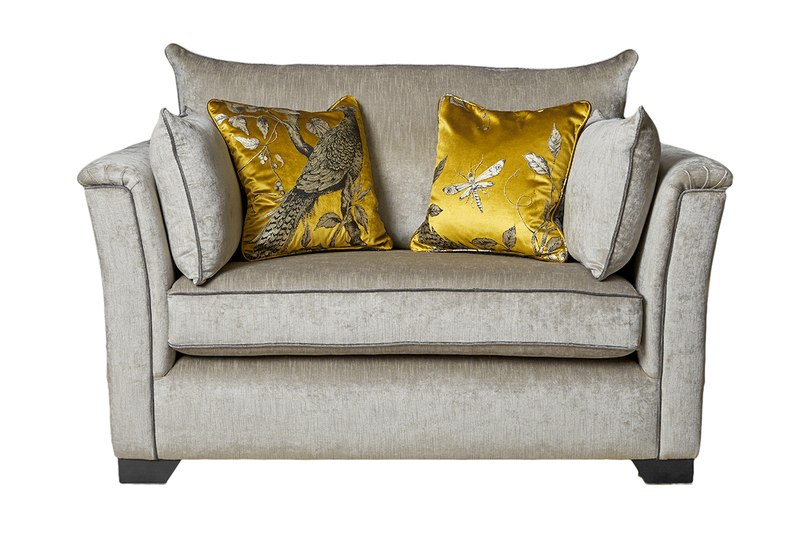 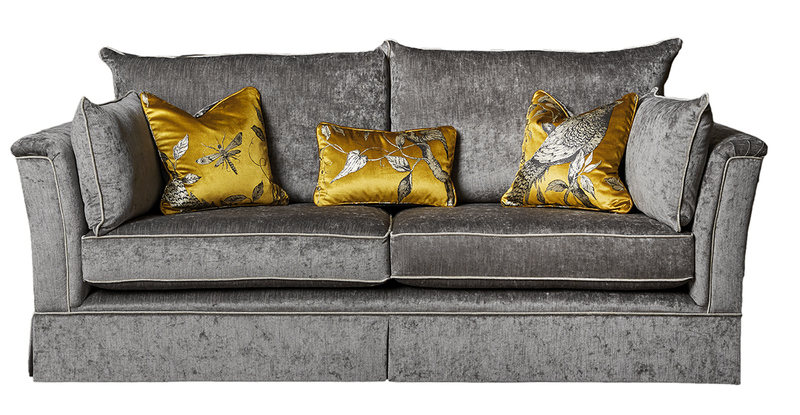 The Madison Collection comes as a Large Sofa, Small Sofa, Love Seat & an Armchair & with a matching footstool to finish the look. 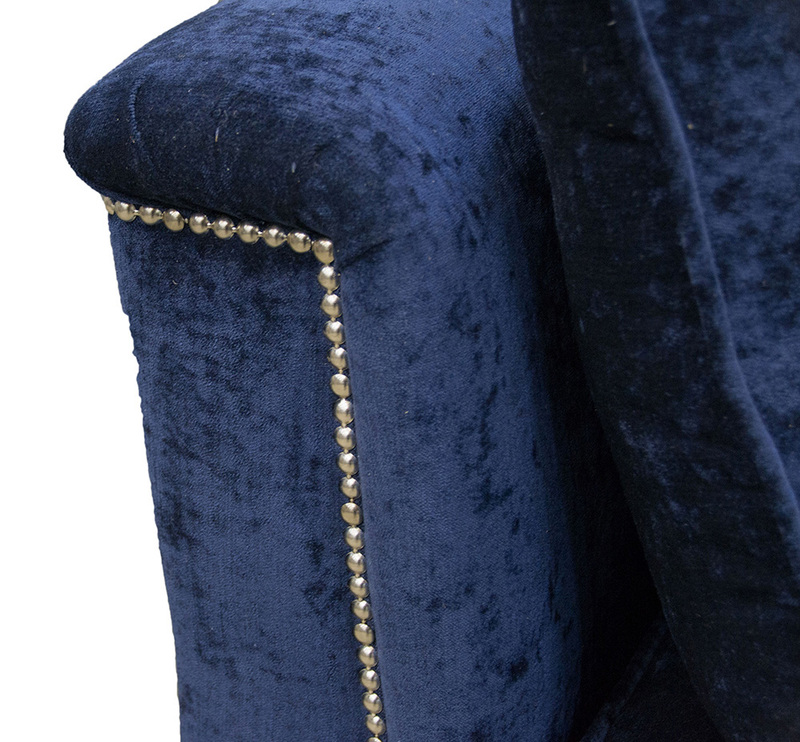 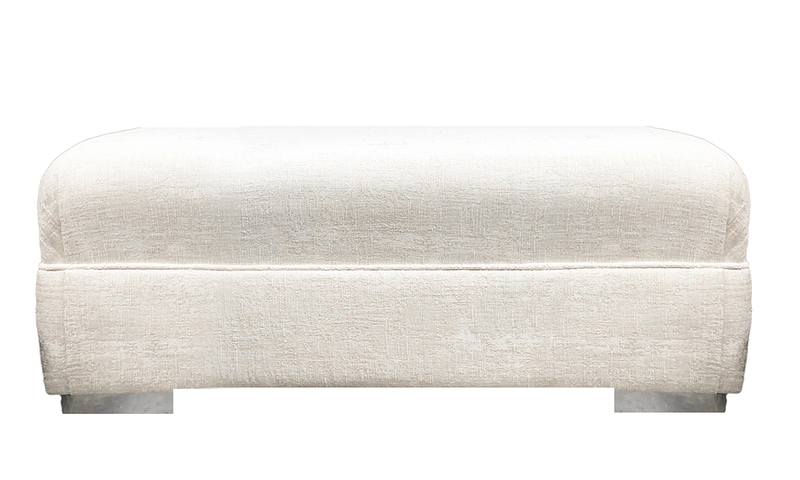 Why not finish the look with a footstool? 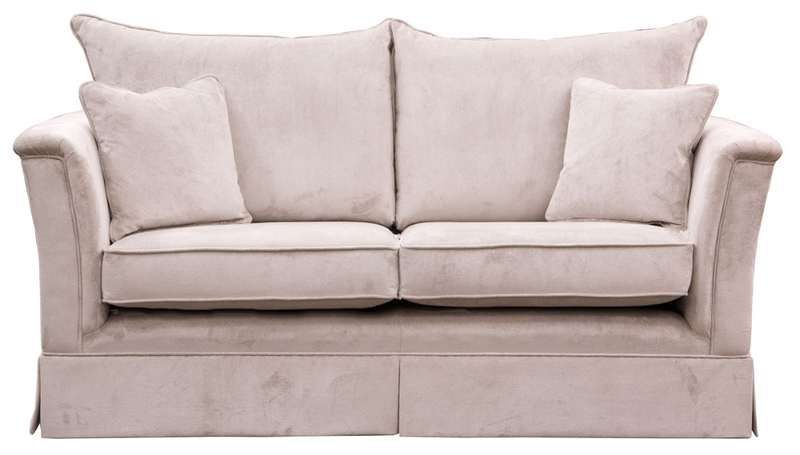 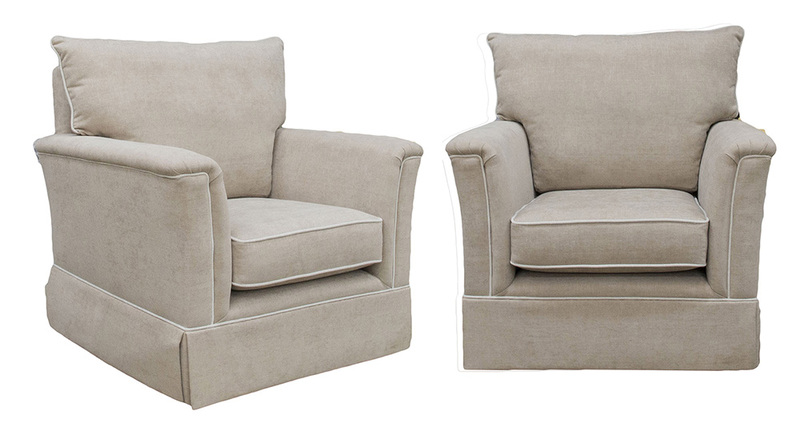 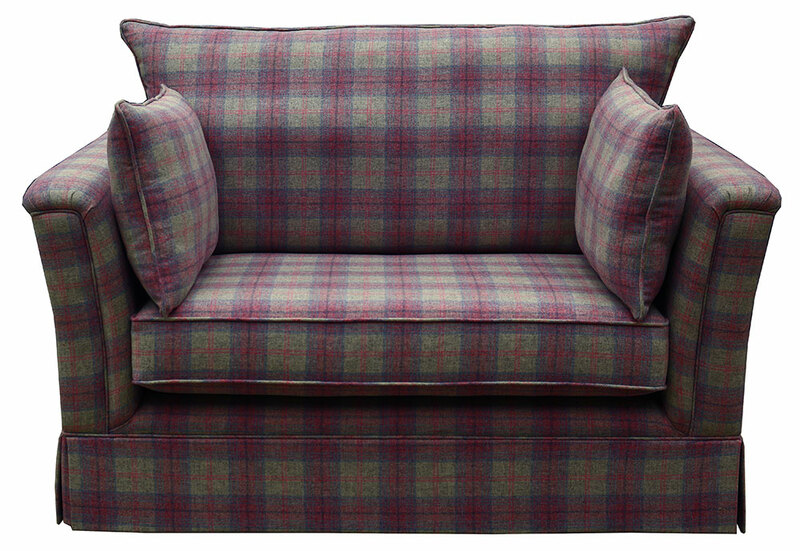 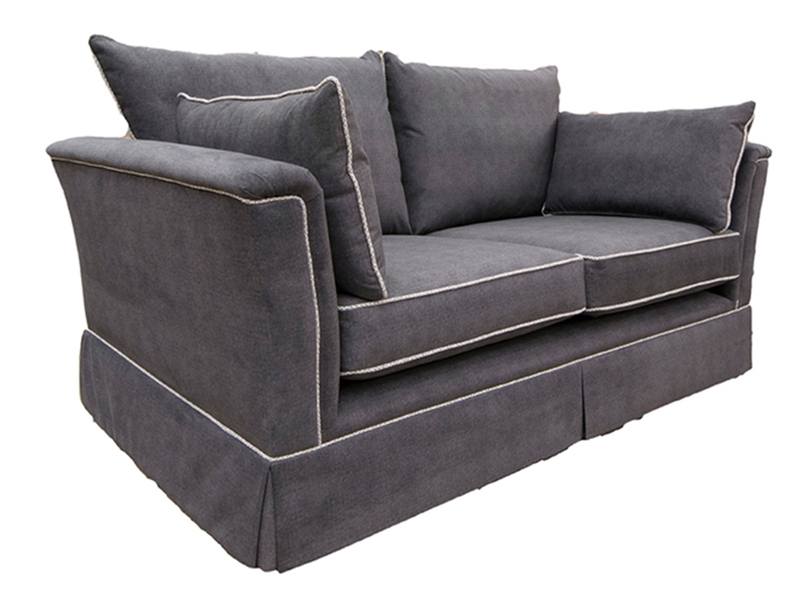 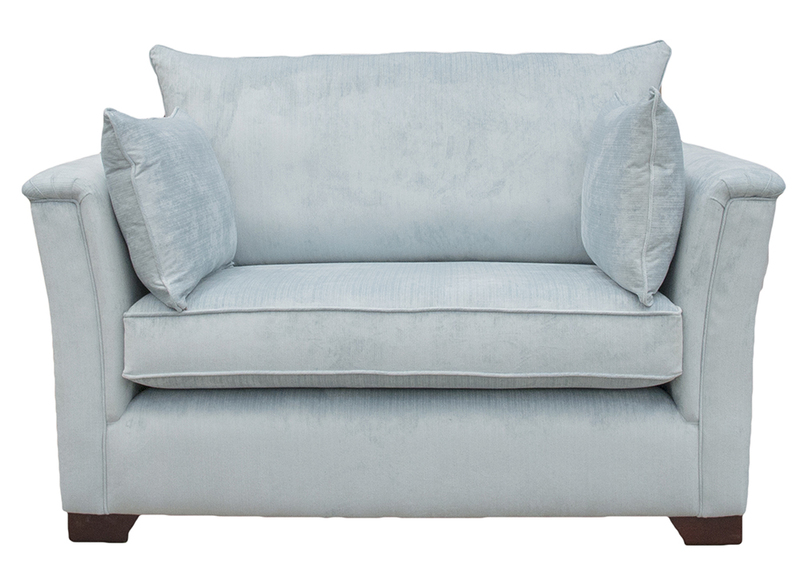 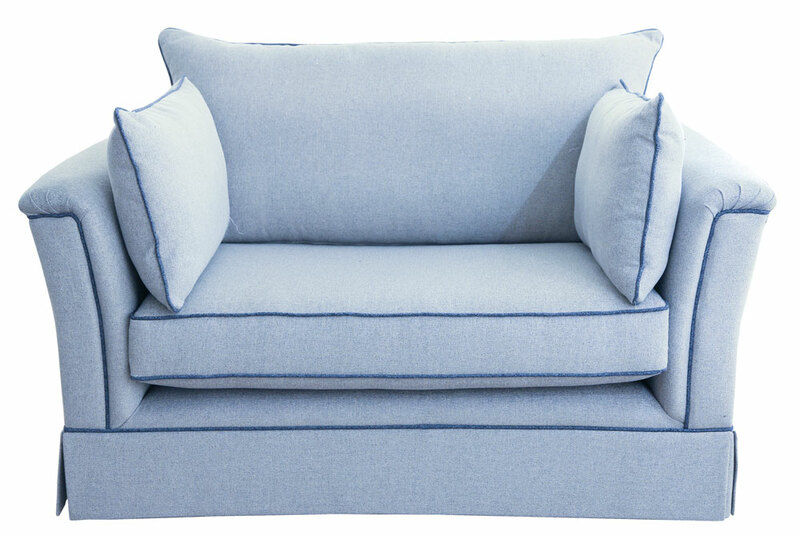 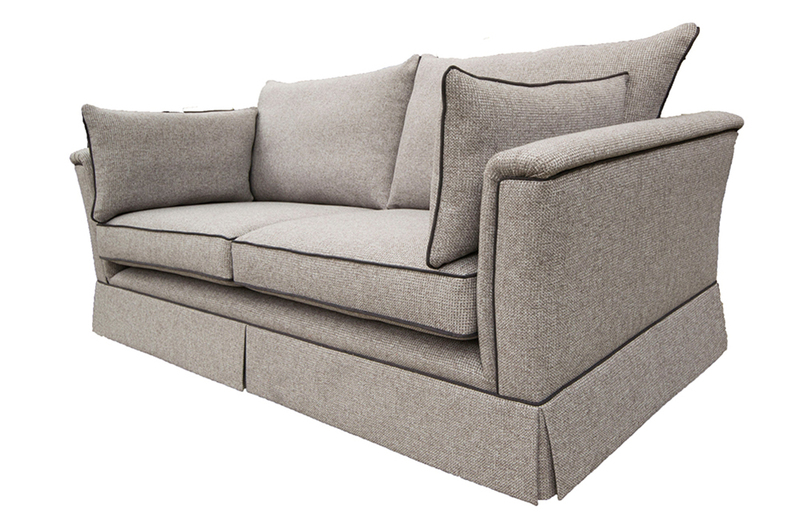 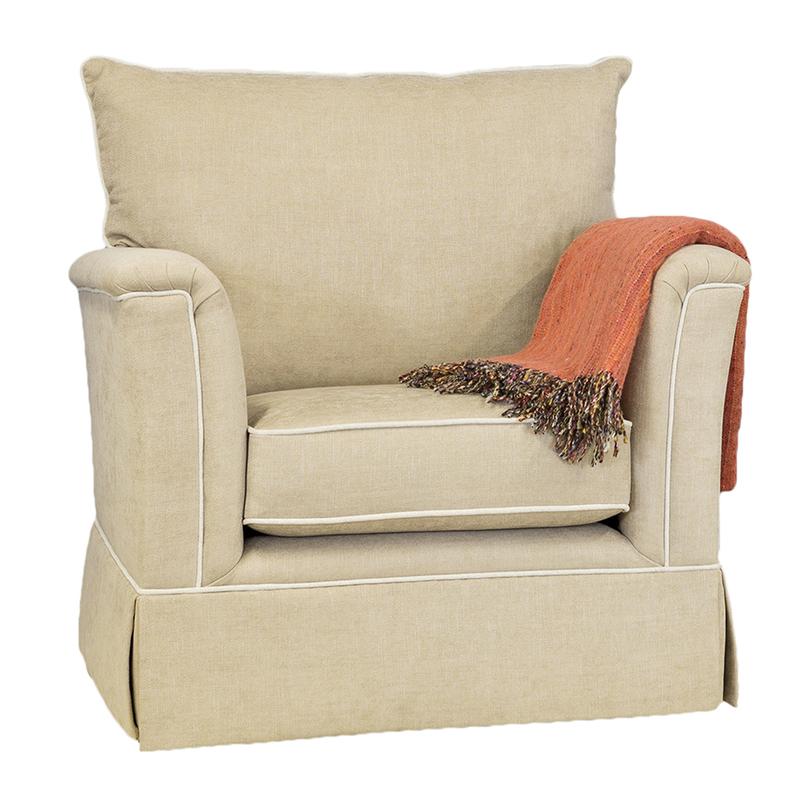 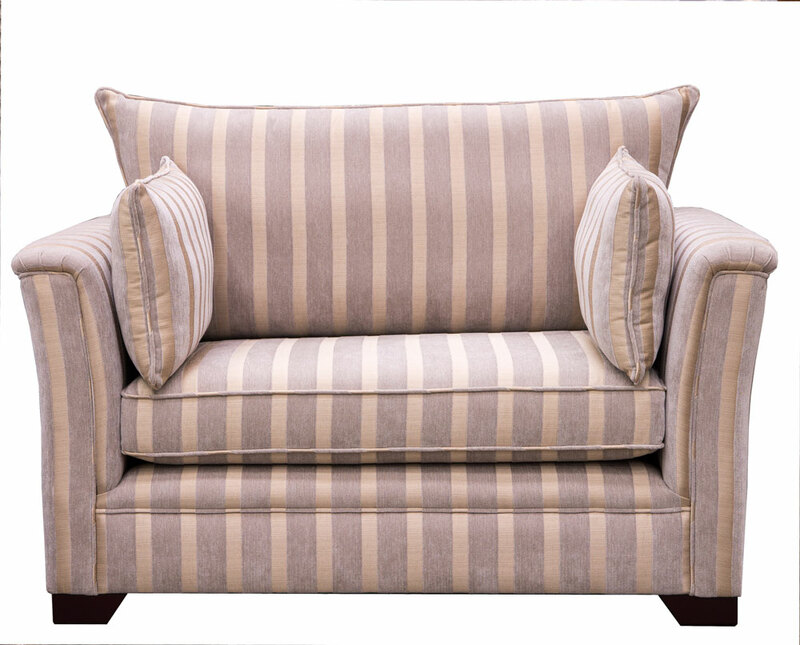 We style this sofa with our Madison Footstool or our Monroe Footstool. 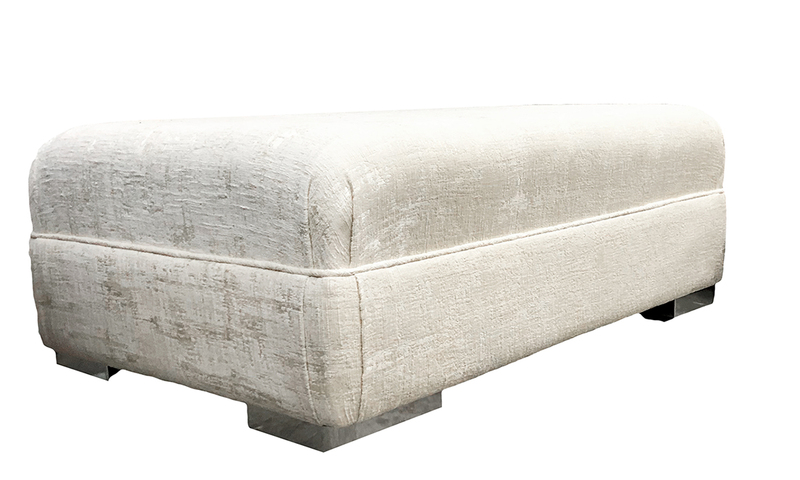 View all our footstool collection here.